The first Thursday session will be slides and chat about our recent PDC in Kamuli Uganda and the plans for the next one. I hope to have time to intorduce people to teh One School One Planet Project to whet the appetite for the second talk which will focus on the schools project work. 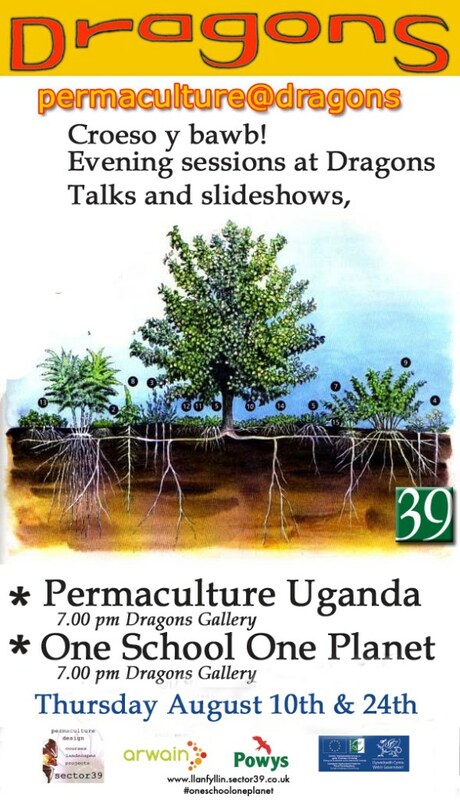 This entry was posted in events, permaculture and tagged dragons gallery, permaculture, sector39, uganda. Bookmark the permalink.